This is a great alternative to the MPC. This combines the power and convenience of computer-based production with the hands-on feel you get from a hardware groove box. It comes loaded with 6GB of sample content. It works as both an instrument and a controller, giving you 16 pads, 11 rotary encoders, and 41 buttons. 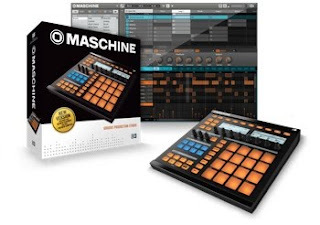 This perfect for people producing Hip-Hop,R&B,Electro or Industrial Rock. It is a bit pricey but worth the money!